When your existing cabinets are very old or seriously damaged, you’ll probably find yourself considering kitchen cabinet replacement. 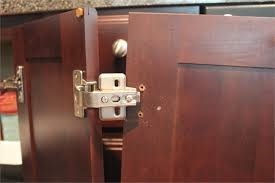 However, some problems with cabinetry don’t necessarily need that you need to invest in brand new cabinets. Instead, kitchen cabinet repairs in NJ from experienced contractors can fix the problems, at a fraction of the cost of new kitchen cabinet installation. At All 1 Kitchen, we provide effective, long-lasting kitchen cabinet repair in New Jersey and New York. We’re always happy to arrange a consultation with our experienced local contractors. For all our customers, we provide a free cost estimate. Feel free to call us anytime at 201-731-5146.